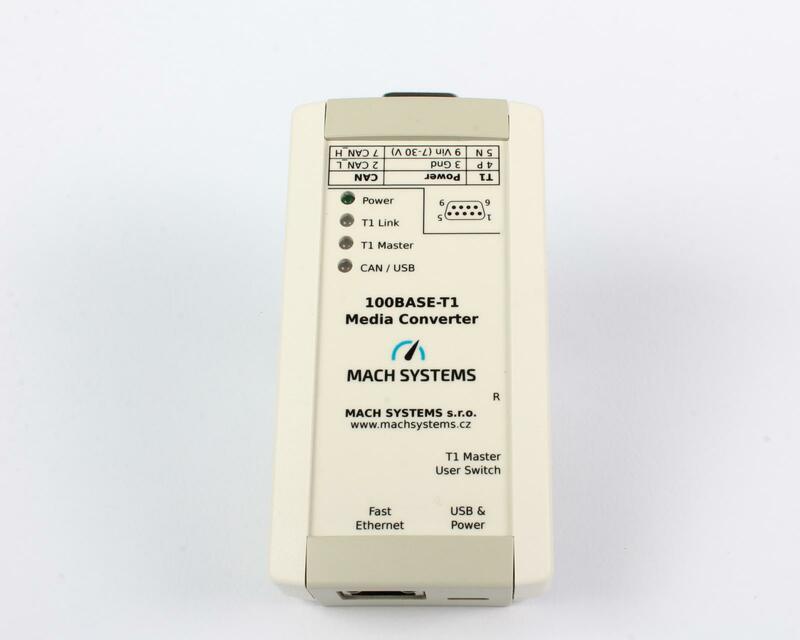 100BASE-T1 Media Converter - MACH SYSTEMS s.r.o. 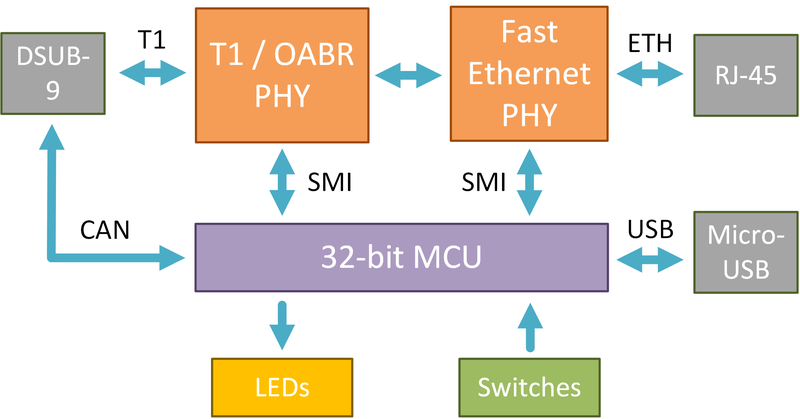 A bi-directional physical layer converter between 100BASE-T1 (OPEN Alliance BroadR-Reach – OABR) and 100BASE-TX (Fast Ethernet), enabling the user to easily connect automotive cameras or ECUs with OABR / Automotive Ethernet media link to a standard computer network. 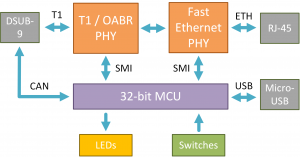 The interface establishes a point-to-point link between an unshielded twisted-pair Automotive Ethernet (IEEE 100BASE-T1) port and a Fast Ethernet port. 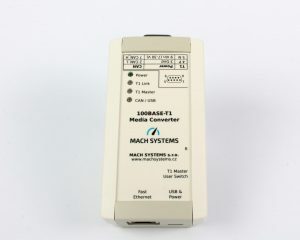 The converter features one DSUB9 (BroadR-Reach, CAN bus), one Fast Ethernet port with RJ-45 connector, and a Micro-USB connector. 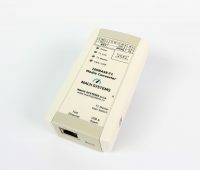 The BroadR-Reach channel is configurable as either Master or Slave by a switch button or programmatically, and the device can be powered either via DSUB connector or via USB. The converter offers a possibility to access SMI registers of both transreceivers (PHYs) via a CAN bus or a USB’s virtual serial port. This enables the user to evaluate signal strength, detect polarity of the T1 port, carry out a BroadR-Reach media test to diagnose cable errors, fine-tune the PHYs parameters, and generally to read and write the registers. Contact us for getting a price quotation.